Several days ago, Sandra wrote a general overview of what seems to be taking place in Israel. She described from an intercessory perspective what could be occurring in the spirit realm. In this article, Kerry writes from a facts on-the-ground, more political point of view. We hope our combined perspectives will impart a broader understanding of recent and tumultuous events in the land. The wisest man who ever lived wrote in Ecclesiastes 1:9-11: That which has been is what will be, that which is done is what will be done, and there is nothing new under the sun. Is there anything of which it may be said, “See, this is new”? It has already been in ancient times before us. There is no remembrance of former things, nor will there be any remembrance of things that are to come by those who will come after. King Solomon aptly and prophetically described the government of modern day Israel. The final weeks of 2018 and early weeks of 2019 in Israel have been so tumultuous politically that it is difficult to know how to pray other than crying out to God for help and “reminding” Him that He promised His zeal would establish the government in justice and judgement (Isaiah 9:7). A recent timeline of events affecting the country follows. After summer and fall seasons filled with rocket attacks from Gaza, and in the midst of 10 months of Hamas inspired weekly riots along the Gaza border, the government of Israel, against the best judgment of Defense Minister Liberman, signed a cease-fire agreement with Hamas, the terrorist government in Gaza. (Since then, rockets continue to fall and riots continue weekly). This treaty quickly prompted Liberman to resign from his post and pull his party’s 6 seats from the governing coalition, leaving it with a 1 vote majority. Days later, Education Minister Bennett, representing a different party in the governing coalition, along with his partner Justice Minister Shaked, announced that if he (Bennett) were not to replace Liberman and be made Defense Minister, they would pull their party from the coalition, causing it to fall below the 60 seat minimum and precipitating a collapse of the government. Prime Minister Netanyahu, not one to be easily manipulated, publicly announced that the country was in the middle of a security crisis, and neither the defense ministry nor a potential government collapse should be used as bargaining chips during such a crisis. (Keep in mind that Israel is constantly in the midst of a security crisis.) Bennett and Shaked backed down, and Netanyahu promptly appointed himself Defense Minister. At that point he became the Prime Minister, Defense Minister, Foreign Minister, Health Minister, and Aliyah and Integration Minister. Normally an Israeli Prime Minister does not appoint himself the head of individual governmental ministries. Doing so violates protocol but not the law. Within two days, the police announced they were recommending to the Attorney General that Interior Minister Deri be indicted (again) for fraud and breach of trust (again). Deri continues to serve in this position and as a member of the Parliament until the Attorney General makes a decision. He leads the somewhat shrinking, but very powerful, ultra-Orthodox political block in Israel. Less than two weeks after the resignation of its Defense Minister, the IDF launched Operation Northern Shield to uncover and destroy underground tunnels dug from Hezbollah controlled Lebanon into Northern Israel. Six such tunnels have been located and destroyed. Within a few days of the start of this operation, Israel experienced its bloodiest week of terror in Judea and Samaria (aka West Bank) in years. Civilians and soldiers waiting at bus stops or traveling down major roads were killed or wounded by gun-wielding Palestinians. Streets were closed. Protests arose against the government for what was (and is) perceived as poor security for Israelis in Judea and Samaria. Within a week, the Israeli State Attorney announced that after a prolonged investigation, he was recommending that Attorney General Mandelblit indict Defense, Foreign, Health, Aliyah and Integration, and Prime Minister Netanyahu on bribery charges. Nobody really knows what the Attorney General, who once worked for Netanyahu and who was recommended for appointment by Netanyahu, will decide to do and when. It is rumored that a recommendation to indict will come in the first four months of 2019, probably before the election. Nobody seems to know if an indicted prime minister can legally remain in office or is even electable while under indictment. Some background is needed. Israelis do not vote for their Prime Minister. In truth, we do not even vote directly for the 120 members of the Parliament, called the Knesset. Instead, Israelis cast a single vote for a political party. The parliamentary electoral process is carried out through a proportional representation system. This means the number of seats a party gets in the Knesset is proportionate to the number of votes it gets nationwide. To win an initial seat, a party must garner 3.25 percent of the national vote. If it does not, that party is not represented in the Knesset. If it does, the number of seats it wins is determined after all votes are counted. If it wins 25 seats, the first 25 names on the party’s list of potential members become members of the Knesset. The actual list of potential Knesset members is determined by party primaries held in February wherein only dues paying party members can vote. So, in reality, in the only democracy in the Middle East, most citizens are not involved in directly selecting any government leaders. After the elections, the President of Israel, (who himself is not elected, but rather appointed by the Knesset) surveys the landscape of newly elected Knesset members and parties based on political ideologies. Then he determines which like-minded parties have the best chance of coming together to form a government. The President chooses as Prime Minister the party head he believes to be most capable of forming a government. To form a government, the future Prime Minister must put together a coalition of at least 61 out of the 120 members of Knesset, or a simple majority. Ultra-Orthodox parties vehemently oppose military conscription for members of their religious communities. In late 2017 the High Court struck down a law exempting ultra-Orthodox religious students from military service. Ultra-Orthodox parties, which composed 21% of the governing coalition (even though they represent about 15% of the population) were highly dismayed and threatened to leave the coalition. To keep the coalition together, the government was tasked with finding a compromise solution by December 2018. This they could not do because the ultra-Orthodox opposed any compromise that resulted in any military service on their part. Defense Minister Liberman’s resignation pushed this deadline back one month, but the issue was destined to be the final straw that broke the coalition’s proverbial back. The only way to pass a law drafting the ultra-Orthodox would be without the ultra-Orthodox vote.Therefore, Netanyahu was going to need votes from members outside his coalition. Otherwise, his government would be in violation of the High Court’s ruling to pass a law requiring military service of ultra-Orthodox Israelis. Only one opposition party indicated it was willing to consider putting aside partisan politics for legislation that it believed in, namely, the centrist Yesh Atid party. However, the night before votes were cast, Yesh Atid withdrew its support—knowing the government would fall because the law would not pass. Indeed, within 48 hours the parliament voted to disband at Netanyahu’s request. So, one month after the Prime Minister had strong-armed his own coalition into allowing him to become Defense Minister because “the government must not dissolve during a military crisis,” he called for the dissolution of the government. That is when the jockeying really began. Everything up to this point was warm-up. Coalition members and Ministers Bennett and Shaked announced they were leaving their party to form a new right wing party that would be less aligned with ultra-Orthodox forces. Presumably, this party will still align politically with Netanyahu’s Likud faction. The second largest coalition party, Kulanu, quickly lost 4 of its10 members of parliament through resignation and defection, and will likely have a reduced role in the next government. The largest opposition block, the Zionist Union, led by Gabbay (Labor) and Livni (Hatnua) suddenly and unexpectedly tore apart during a live, televised press conference to the shock of everyone watching. Gabbay essentially fired Livini on national television. This could represent the end of the political road for Livni. (Recall that she actually outpointed Netanyahu 9 years earlier for Prime Minister, but could not form a coalition.) Meanwhile, the Labor party, formerly the party of David Ben Gurion, Golda Meir, Yitzchak Rabin and Shimon Peres, is predicted to score its lowest vote in history in the upcoing election, and become politically irrelevant. Former IDF Chiefs of Staff Gantz and Ya’alon both announced they are entering politics and have each formed new political parties. Gantz has gained popularity quickly, even though it is not clear if his views are left, centrist, or right. The party has not stated any significant platform. Adding to the intrigue, Ya’alon, who is likely a left leaner, was not getting much press or attention. So he decided to join his party to Gantz’s. All we really know about this new partnership is that it aims to defeat Netanyahu. The centrist Yesh Atid faction, led by former news reporter Lapid, is considering joining together with Gantz’s party to create a centrist block large enough to defeat Netanyahu. The problem is that neither Lapid nor Gantz are willing to give up the possibility of becoming Prime Minister to see Netanyahu defeated. Netanyahu’s Likud party held its primaries this week. Since Netanyahu was already guaranteed the top spot as party head, these were really elections about who might succeed him should he be forced to resign. Likud sent him a strong message by elevating several of its members who Netanyahu directly opposed. Should he somehow again be appointed Prime Minister, he will lack important support from within his own party. Immediately after the announcement of new elections on April 9, 2019, speculation began as to whether Attorney General Mandelblit would make a final determination about Netanyahu’s potential indictment by then. Also at issue is whether it would be proper to announce his determination prior to an election. The AG soon stated the election will not affect his decision. Similarly, Netanyahu announced the AG will not affect what he (Netanyahu) chooses to do, either before or after he is (presumably) elected. More recently, Mandelblit has said he will indeed state his recommendation before the election, as the public deserves to know. Moreover, delaying any indictment might give Netanyahu an electoral advantage. 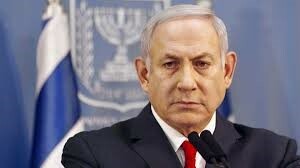 As I write, it seems almost certain Netanyahu will be indicted. But the public is weary, a bit heartsick or hardened, and there is question as to whether an indictment would affect many voters. Those who were not going to support Netanyahu won’t, and many of those who do support him won’t be swayed by an indictment. An indictment is not the same as guilt, and any Prime Minister who can hold five ministry portfolios simultaneously can probably continue to function decently even while on trial. In my humble opinion, Netanyahu’s party will likely win the largest number of seats in the Parliament, and he will likely cobble together enough right wing parties to form a governing majority. His coalition will likely include the shrinking but still important ultra-Orthodox party and (barring a miracle) they will continue to control the ministries they desire. After the smoke has settled, we will be faced with the same issue of exempting the ultra-Orthodox from the military or having the government fall again. In other words, we will have achieved nothing other than extreme disruption, discord and disarray. What has been done, as King Solomon said, will be done again. However, as you read several days ago, Sandra expresses an alternative point of view. How do we pray and for what can we hope in an unredeemed government? We must faithfully petition God for fulfillment of His promises and we cry out to Him.. Personally, I continue to plead for the hearts of the leaders to turn to God. He has promised His zeal will bring about a government based on righteousness, justice, and judgement (Isaiah 9:6-7). If hearts do not turn to Him, may He move them aside to His glory and purposes. He said through Ezekiel that it is for His name’s sake that He would restore Israel (Ezekiel 36:22-32). May those who govern recognize the high calling and privilege of leading a people that God raised up to the land that He chose to place His name and throne. May leaders’ hearts be rent rather than their garments. And may we who pray not grow weary in well doing, for in time, we will reap if we do not lose heart (Galatians 6:9). Please God, let it be so in our day!